Most cats are fed kibble or processed food. Though they are very popular choices of food for cats, your kitties would do much better and be healthier with natural, fresh foods. However, there are many fresh foods that may be harmful to your pets. The foods below can be dangerous to your cats if ingested. They should be avoided and put away in places that cannot be reached by your curious furry friends. Tomatoes (esp. 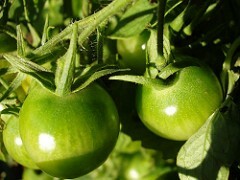 green tomatoes) – tomatoes can cause many gastrointestinal problems such as diarrhea, vomiting and upset stomach and pain. 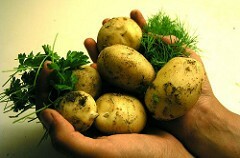 Green Potatoes – raw potatoes contain a poisonous alkaloid that can induce violent gastrointestinal problems.